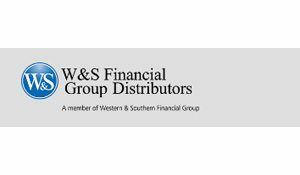 CINCINNATI — Dec. 4, 2017 — W&S Financial Group Distributors, Inc., wholesale distributor of annuities and life insurance from member companies of Western & Southern Financial Group, has enhanced its Indextra® Series fixed indexed annuity from Integrity Life Insurance Company. Launched Sept. 29, 2014, Indextra produced the most successful first-year product debut in W&S Financial Group Distributors’ history. Sales to date exceed $1.5 billion (as of 11/30/17). Founded in Cincinnati in 1888 as The Western and Southern Life Insurance Company, Western & Southern Financial Group, Inc. (Western & Southern), a Fortune 500 company, is now the parent company of a group of diversified financial services businesses. Its assets owned ($47.2 billion) and managed ($22.3 billion) total $69.5 billion as of Sept 30, 2017. Western & Southern is one of the strongest life insurance groups in the world. Its six life insurance subsidiaries (The Western and Southern Life Insurance Company, Western-Southern Life Assurance Company, Columbus Life Insurance Company, Integrity Life Insurance Company, The Lafayette Life Insurance Company and National Integrity Life Insurance Company) maintain very strong financial ratings and a Comdex Ranking of 96. Other member companies include Eagle Realty Group, LLC; Fort Washington Investment Advisors, Inc.;1 IFS Financial Services, Inc.; Peppertree Partners LLC;1 Touchstone Advisors, Inc.;1 Touchstone Securities, Inc.;2 W&S Brokerage Services, Inc.;2 and W&S Financial Group Distributors, Inc. For more information on the Western & Southern family of companies, visit WesternSouthern.com. Western & Southern is the title sponsor of the Western & Southern Open (WSOpen.com), a premier event in the U.S. Open Series played each August by the world’s top-ranked professional male and female tennis players. J.P. Morgan’s Corporate & Investment Bank is a global leader across banking, markets and investor services. The world’s most important corporations, governments and institutions entrust us with their business in more than 100 countries. With $22.7 trillion of assets under custody and $421.6 billion in deposits, the Corporate & Investment Bank provides strategic advice, raises capital, manages risk and extends liquidity in markets around the world. Further information about J.P. Morgan is available at JPMorgan.com.